A favourable taxation regime is available to non- domiciled individuals living in the UK, but who have a permanent home somewhere else. This policy is a relic of a bygone age; it is unfair, enables tax avoidance, and should be abolished. Tax concessions for individuals not domiciled in the UK (popularly known as non-doms) were introduced by the government in 1799 and gradually refined in subsequent years. The tax- raising policies of that time sought to replenish the coffers of the British state for the losses arising from wars with France, Spain and America and turmoil in Ireland. Inevitably, the question was which individuals and income would be taxed, as not all income arose in the UK and some wealthy individuals may have made British colonies their home. The concession given to non-doms was to exempt their foreign income, gains and profits from UK taxes. Over the years, various changes have been made to the tax rules, but the tax concessions remain. A ‘domicile’ is defined as the country which a newly-born child’s parents consider to be their permanent home. This can change as individuals can leave a country with no intention of returning. In principle, it is possible for someone to live in the UK but be domiciled elsewhere. There is no statutory definition of a non-dom, and the status depends on a variety of factors and circumstantial evidence. The case of Gaines- Cooper v Revenue & Customs Rev 2  UKSPC SPC00568 shows that the rules are complex. After the Finance Act 2017, the position is that all non-doms are required to pay income tax on their UK earnings, but avoid income tax and capital gains tax on assets held elsewhere as long as the amounts are not remitted to the UK. There are also valuable inheritance tax, business investment and other tax reliefs, which are not available to individuals domiciled in the UK. Rather than declaring their foreign income and gains to the UK tax authority, the non-doms can choose to pay what is known as the “remittance basis charge”. The remittance basis charge is effectively a UK tax on unremitted foreign income/gain. £30,000 is payable by individuals resident in the UK for more than 7 out of the past 9 years. Before the seven-year period, individuals can still claim the non-dom status, but are not liable for the remittance charge. The charge rises to £60,000 for individuals resident in the UK for more than 12 years out of the past 14 years. Non-doms who have resided in the UK for more than 15 of the past 20 tax years are deemed UK-domiciled for income tax, capital gains tax and inheritance tax purposes, even if they maintain a domicile abroad. Around 5 million people living in the UK may be able to claim non-dom status, but most are unable to secure any tax advantage because their income and gains solely arise in the UK. Non- dom status is actually claimed by wealthy individuals, often advised by aggressive accountants and lawyers. According to Her Majesty’s Revenue and Customs (HMRC), 121,300 individuals claimed non-dom status for tax purposes in 2014/15. There were 85,400 UK-resident taxpayers; the remaining 35,800 were non-UK resident. Famous residents claiming non-dom status include Mark Carney, the current governor of the Bank of England; Roman Abromavich, the billionaire owner of Chelsea Football Club; Steel magnate Lakshmi Mittal, media tycoon Viscount Rothermere and numerous footballers. The UK government statistics for 2014-15 show that 54,600 non-doms opted to pay the remittance basis charge (see above), but only 5,100 individuals became liable to pay it. The statistics are silent on the actions of the other 49,500. The number of investigations of non-doms, if any, by HMRC is not known. The remittance basis charge raised £226 million. The government estimates that altogether non-doms contributed £9.3 billion in various taxes and National Insurance contributions to the UK Treasury. However, the statistics do not say what the non-doms would have paid if they were subject to the rules applicable to normal UK taxpayers. Non-dom tax concessions are unfair and discriminatory. Non-doms enjoy all the benefits of UK infrastructure but are not liable to UK taxes on the same basis as the majority of people, even when they have lived in the UK for 14 years. 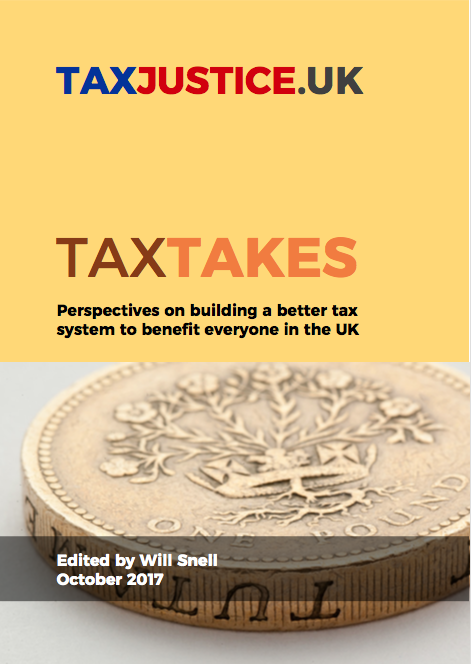 Non-dom taxation hinders investigation of tax avoidance and evasion, as wealthy individuals do not have to provide any indication of wealth stashed elsewhere. The government claims that non-doms bring investment into the UK, but has failed to provide any details or to show any economic benefits. The paradox is that government policy fails in its own terms. By allowing non-doms to cap their tax liability at £30,000 or £60,000 in respect of unremitted income, the government is incentivising them to enjoy the benefits of UK residence whilst keeping their wealth offshore. Non-dom status facilitates all kinds of economic distortions. For example, a large number of Premier League football players have non-dom status. They pay UK income tax on their wages. But their employment with a UK football club also leads to other streams of income, such as the income from image rights. Many have incorporated their image rights outside the UK, often through companies registered in low- or no-tax jurisdictions, and thus avoid UK tax on the income and probably also in their home countries too. In contrast, British-domiciled players cannot easily ring-fence their income from image rights and may thus exert pressure for higher wages and signing-on fees. These distortions also extend to other sectors of the economy. Non-dom status is a relic from the past and continues to enable wealthy elites to shelter their wealth from tax authorities, with significant economic consequences. It should be abolished altogether. The principle should be that if someone has lived in the UK for a ‘reasonable period’, they should be subjected to the same tax rules as anyone else. The ‘reasonable period’ can be fine-tuned to exempt temporary workers, and could possibly be aligned with citizenship rules, whereby individuals living in the UK for five years can generally apply for UK citizenship.